Just got it and I raced for hours. At this price I'm going to be playing for penny's a day. Lot's of everything in this game; cars, tracks, races. I love it. Just getting started but really like this game. The game looked like new, shipped fast. There was no problems. Lukie is a super company to purchase games from. They stand behind there product. 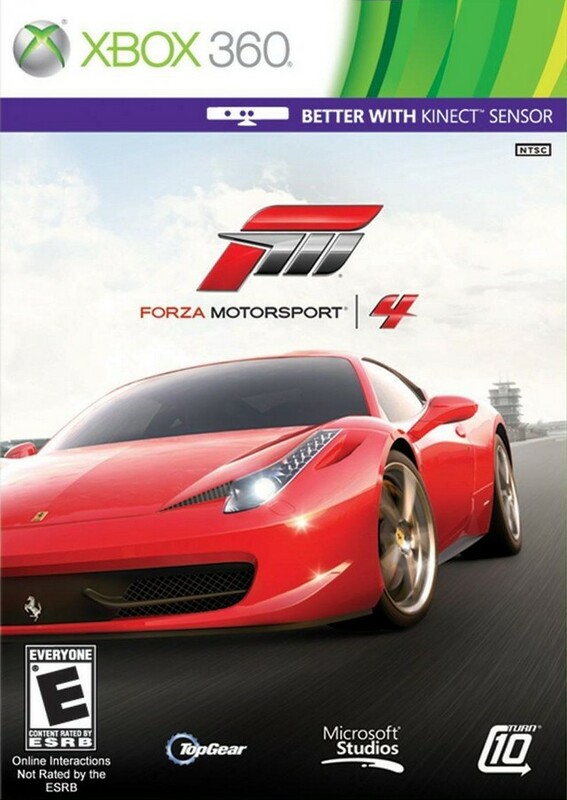 Forza Motorsports is one of the largest and most important series of racing games. This 4th game is one of the most beautiful of the last generation! I bought the game to play with my Son. I'm not into playing video games but felt with this one I would at least be a little interested. It did not disappoint. We've played several times including with my Wife. Great game at an awesome price!!! Great game, awesome price, came in a limited edition metal case and not a scratch on the disc. No disappointments here. The game arrived quickly, and plays great I've really been enjoying it. Thanks ?? I played Gran Turismo, but I was leery about Forza. Well it turns out the two are extremely similar, and that is a very good thing. This is a polished game that was taken very seriously by the developers. I don't know much about cars, but if I did I would be very into the customization stuff. Beyond just upgrading, there are a ton of options to tweak your car in extremely specific ways. This game is as much a simulator as it is just a good racing game, and if you know cars you can do A LOT with this game. What I'm saying is, this game is a car experts dream, so much so that enjoying every aspect of this game probably requires a college degree. 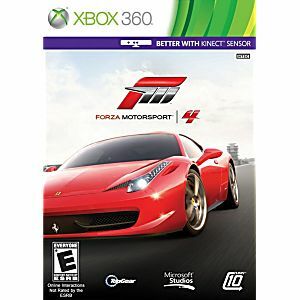 Get all you wait for with this Forza game. Discs look like brand new. Excellent service by the Lukie staff. Everything you ever want or need from a racing game. The only thing I wished this game had were the Ehra-lessian and Nardo Ring tracks and obviously Porsche cars but that's not Turn 10's fault. All the Forza titles are great. Lukie shipped quickly and the product was in excellent, like new condition. I bought this game for my boyfriend as he used to have it and lost it. And yet the whole family has become addicted.